Travel writer Patrick Leigh Fermor, who died last week, called this Peloponnese peninsula home. Andrew Eames makes a pilgrimage. Somewhere about 100km beyond ancient Olympia I chucked my navigator out of the window; figuratively speaking, of course. She’d long since lost touch with reality, telling me to do U-turns and take sharp lefts where such things would only have ended in motorway carnage. Underneath me, the A7 unrolled its great tongue of Tarmac imperturbably towards Kalamata and yet she would have had me off the road and into the goat tracks among the prickly pears, so I gave up on her, imagining her left behind, sitting on a rock, still insisting that I recalculate my route. That’ll be me, then. So the silencing of my (wireless) navigator was a tribute, in a way, even though Leigh Fermor himself had just left. I have long been an admirer of Leigh Fermor, who until his death last week at 96 was, in my opinion, Britain’s greatest living travel writer. My most recent book, Blue River Black Sea, was a journey made partly in his footsteps down the length of the Danube, and it had always been in my plans to make a trip to the Mani sooner or later, with the hope that I might get to meet the great man in his “perfect writer’s house” down by the sea beside Kardamyli. Tragically, I was a couple of days too late, so my journey became something of a pilgrimage instead, a celebration and a comparison between the Mani that Leigh Fermor wrote about in 1958, and the Mani of today. When Leigh Fermor, with his wife Joan, first crossed into the Mani, he had done so on foot led by his navigator, a taciturn goat-herder called Yorgo, who took him up over the barrier of the Taiyetos mountains, through a “dead, planetary place, a habitat for dragons”, an inferno of rocks whose only living organisms survived “on a memory of water”. Historically, the Mani’s very inaccessibility had made it an enclave of refugees, feudal villages, vendettas and turf wars. Its rugged infertility meant agriculture was virtually impossible, so its inhabitants tried their hand at everything from piracy to slave trading in order to survive. 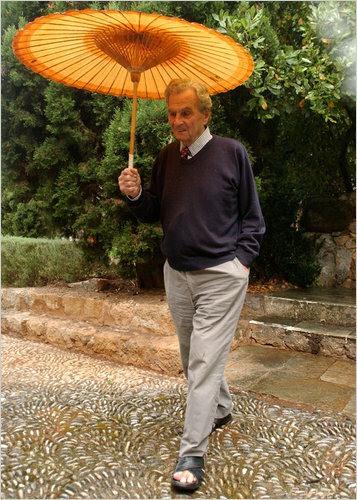 For Leigh Fermor, that isolation translated into what he called “an Elysian confine” from the moment he first arrived in Kardamyli, a castellated hamlet on the edge of the sea “whose quiet charm grew with each passing hour”, which became his home. He believed he had found a place “too inaccessible, with too little to do, for it ever to be seriously endangered by tourism”. I would have liked to have asked him if he ever regretted that sentence. Crossing the Taiyetos today is still something of an ordeal – if you are a car. The A7 fizzles out at Kalamata and it falls to a nimble-footed minor road to try to avoid the worst the mountains can do. The reward for getting through is an eagle’s view of the Mani, across mountains that tumble to the sea, with villages as barely-tolerated ochre encrustations on their elongated toes. The English have bought houses here, undoubtedly some of them partly due to Leigh Fermor’s book. Package tourism has been drawn inevitably to the village of Stoupa, 7km south of Kardamyli, by the presence of a perfect horseshoe-shaped beach, but it is package tourism in its more restrained manifestation, and very contained. Just along the coast, tourism is more select and discreet at Agios Nikolaos, a fishing harbour bobbing with caique boats, where the morning recreation is watching the fishermen return and set out their catch beside the harbour wall, a wall that will be lined with fish-restaurant tables when the sunset comes. Kardamyli itself is not that much changed, largely thanks to its lack of beach; the 17th-century fortress houses are still there, in a more or less tumbledown state and the rest of town is a peaceful web of cobbled lanes, vegetable gardens, and balconied stone houses whiskered with vines and bougainvillea. Tavernas line the shore, including one run by Lela, Leigh Fermor’s veteran housekeeper. The great man’s property itself, down by the beach at Kalamitsi, 1km south of Kardamyli, is no longer alone, but newer buildings maintain a respectful distance. I catch up with George as he is readying himself for the journey to the UK for the funeral, so I put the question to him: would Leigh Fermor have regarded the modern Mani as spoilt? Even into his 90s Leigh Fermor remained a great walker, said George, so partly out of tribute to him I tackled a couple of the local trails. From Kardamyli up to Agia Sophia, on a well-made path up through cicada-rich olive terraces, with the shoreline opening up below. And then up the Nupati Gorge, a resinous, scented ravine where I had to walk bent double much of the time, scrambling through ankle-snapping rocks the size of elephant’s skulls, a quick reminder of just how tough it was to move about before the days of roads. Plenty of early- and late- seasonvisitors do a lot of walking here; the views are magnificent, the landscape pungent with ancient sweat. At this time of year, however, the heat is oppressive, the going too tough to be anything but an ordeal. Far better to stay in the sea breezes and read a good book. If you do, there’s one author I’d recommend. This entry was posted in Paddy in the News and tagged Greece, Mani, Patrick Leigh Fermor on June 22, 2011 by proverbs6to10.